“TastyWine” 2016 field notes: Strong growing potato leaf plant, one of the taller dwarfs. 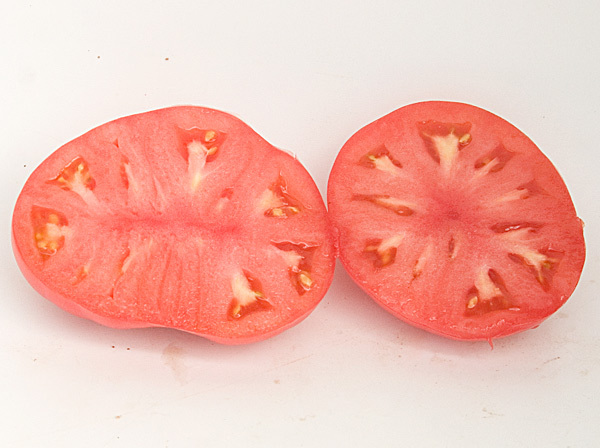 Fruit: 3-6 oz., pink. Fair-to-good production. Best flavor late in the season. “TastyWine” originated with a cross made between Dwarf Wild Fred and Brandywine by Vince Lavallo in 2008 and named Tasty. 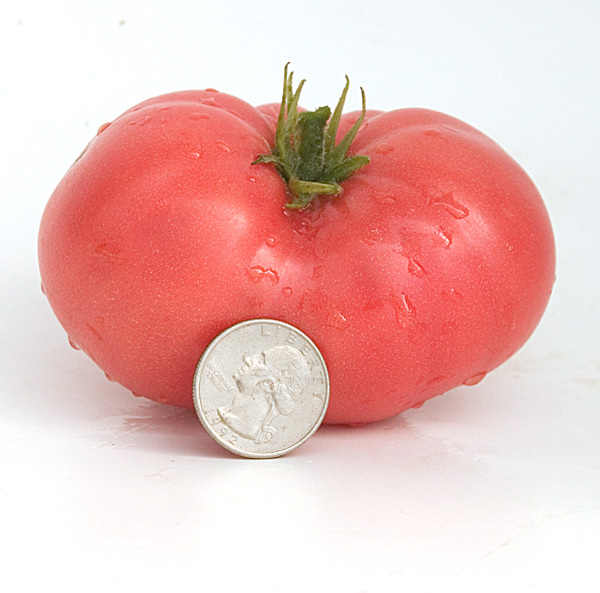 TastyWine was selected and named by Vince. 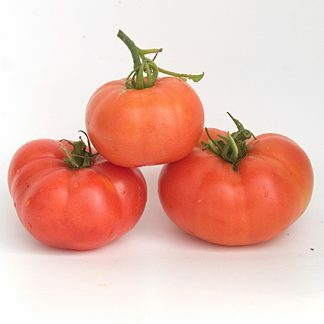 Essentially a dwarf growing version of Brandywine, the vigorous potato leaf dwarf plants produce plenty of pink smooth oblate tomatoes that range from 6-12 ounces. The intense, rich well balanced flavor resembles Brandywine in quality. Involved – Vince Lavallo, Linda Black, Lurley Hernandez, Craig LeHoullier, Michael Volk, Patrina Nuske Small, Robbins Hail, Shawn Conant, Gina McDermott, Bill Yoder, Nancy Ruhl, Patrick Sullivan, and Sandra Tipton. 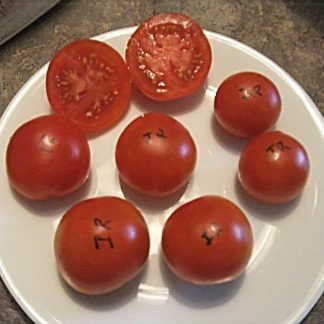 The starting seed sample was grown and provided by Bill Minkey.